While in Florida in 2012 (that post here) we took a day trip down to The Keys. 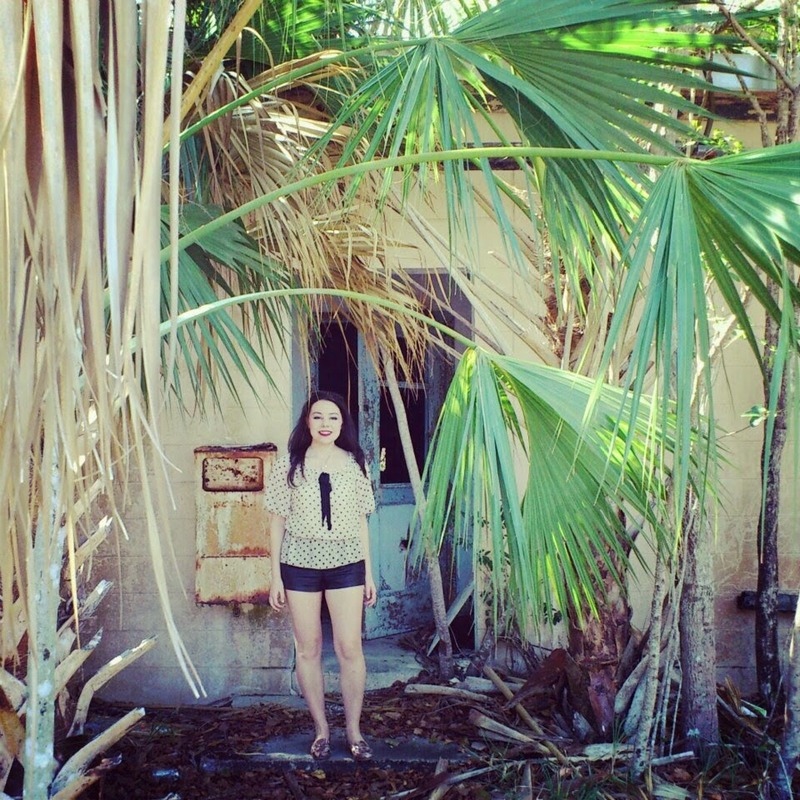 Out in the brush of Key Largo we came across this abandoned Nike Missile Testing site. From the outside it was a long narrow building, which had been overgrown with palms. 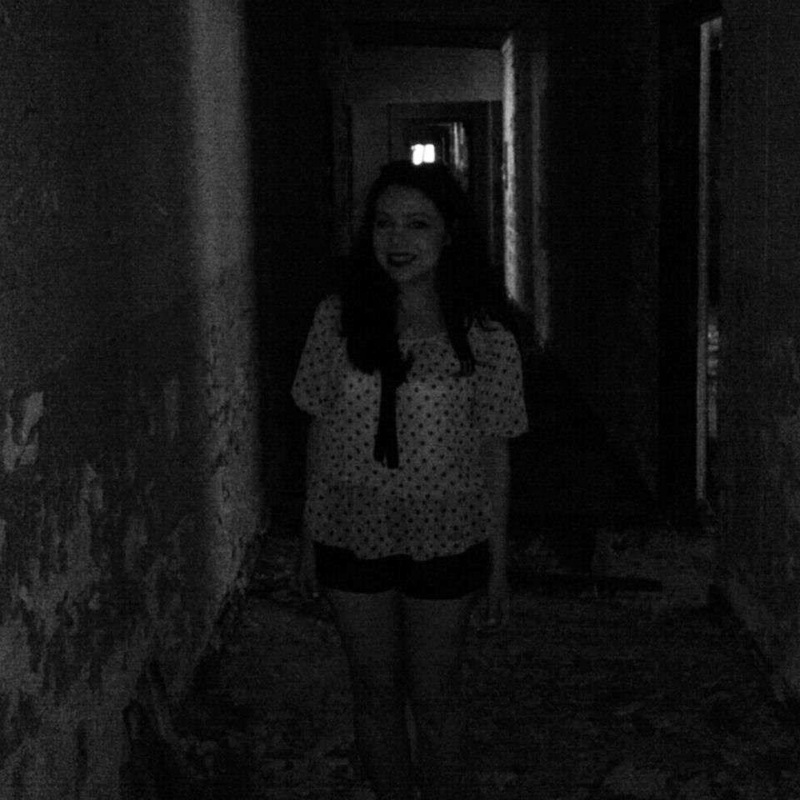 The inside resembled a hospital, or hotel, as there was a narrow hallway studded with small bedrooms on each side. 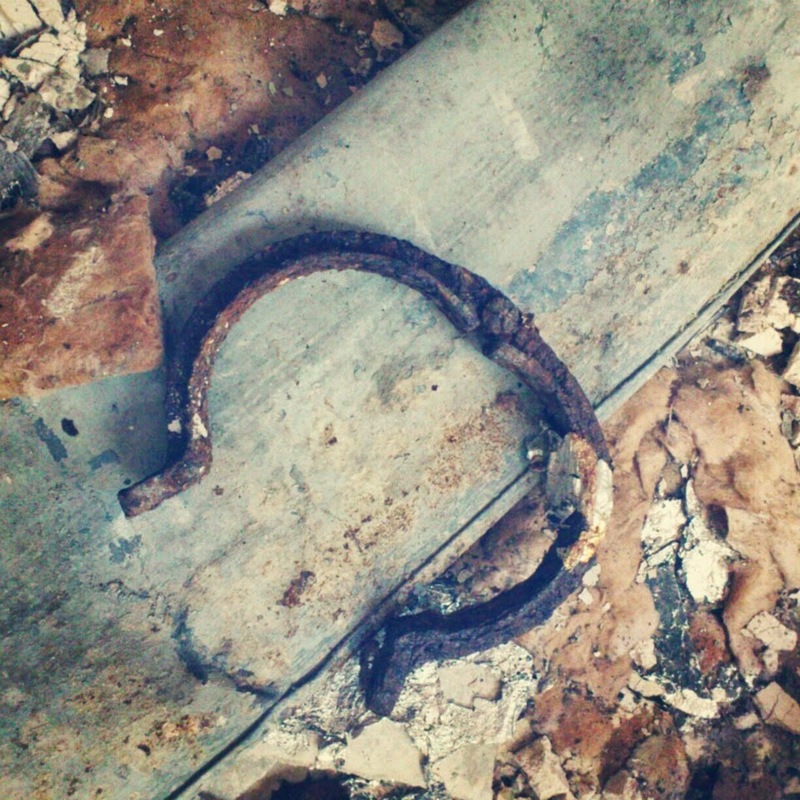 There were many of these shackles throughout, which made us believe it may have been something like a jail, prison, or asylum. 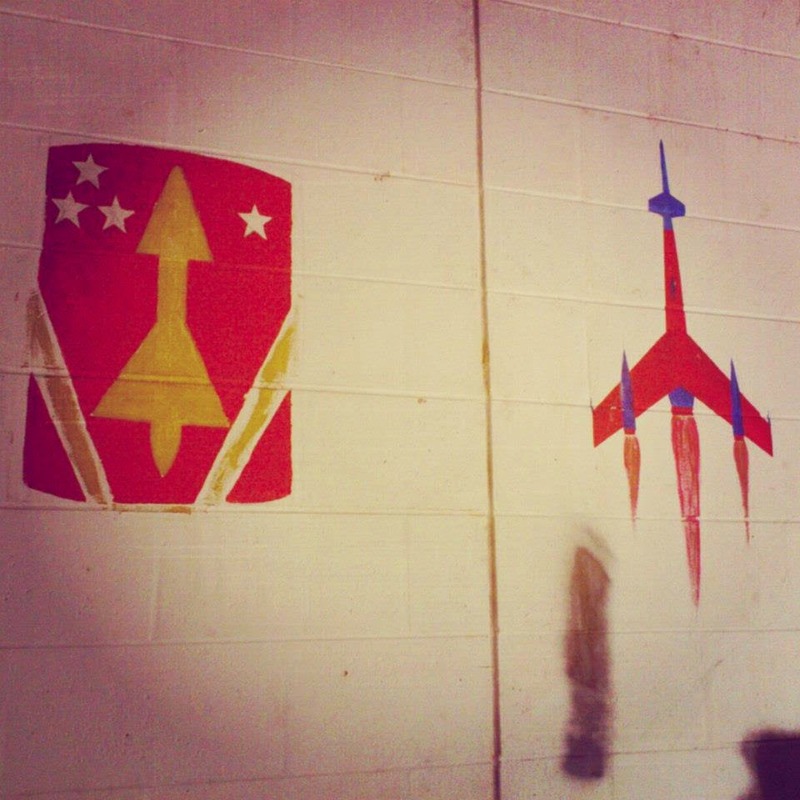 These missiles were painted on a wall in one of the bedrooms. Aside from the main building there were a few smaller buildings which appeared to be garages, filled with equipment. 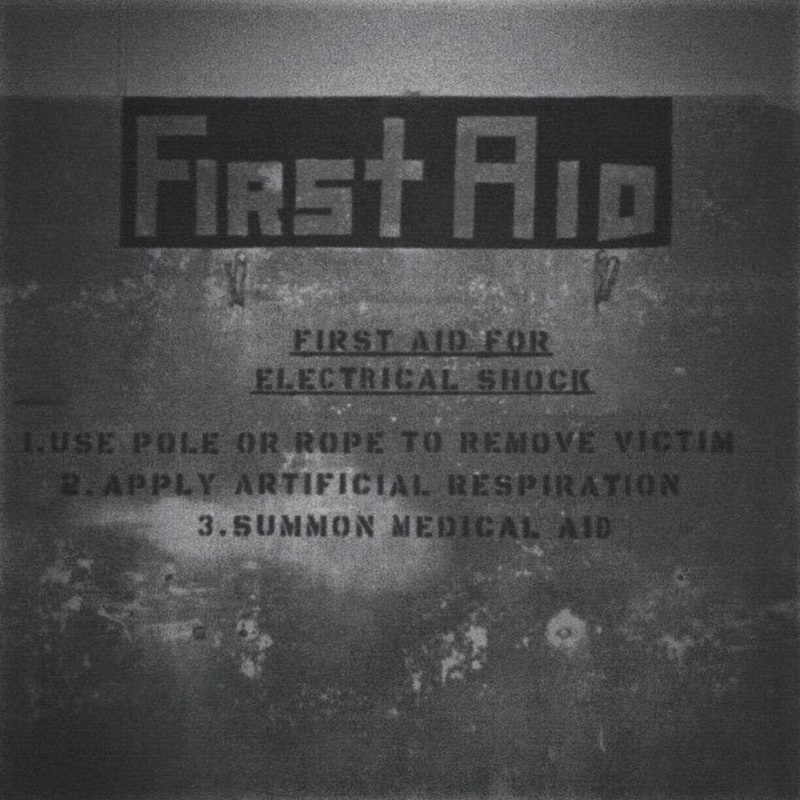 This sign was found on the wall. It wasn’t until we ran into a Florida state trooper that we were informed of where we had been.